UFC 196 has a women’s bantamweight title fight and now it might have something of a title eliminator. Amanda Nunes will meet Valentina Shevchenko on the newly branded card March 5 in Las Vegas, the UFC announced. The name UFC 196 was previously used for the Feb. 6 event, but that was changed this week. Holly Holm will defend her UFC women’s bantamweight title against Miesha Tate in the co-main event. Nunes (11-4) has won two straight fights via first-round finish, the latest a submission of former Olympic wrestling silver medalist Sara McMann in August. Nunes has won four of five fights in the UFC — all by first-round knockout. Her lone loss came against Cat Zingano in September 2014 and that, too, was a fight she was winning early. The 27-year-old Brazilian fights out of American Top Team. 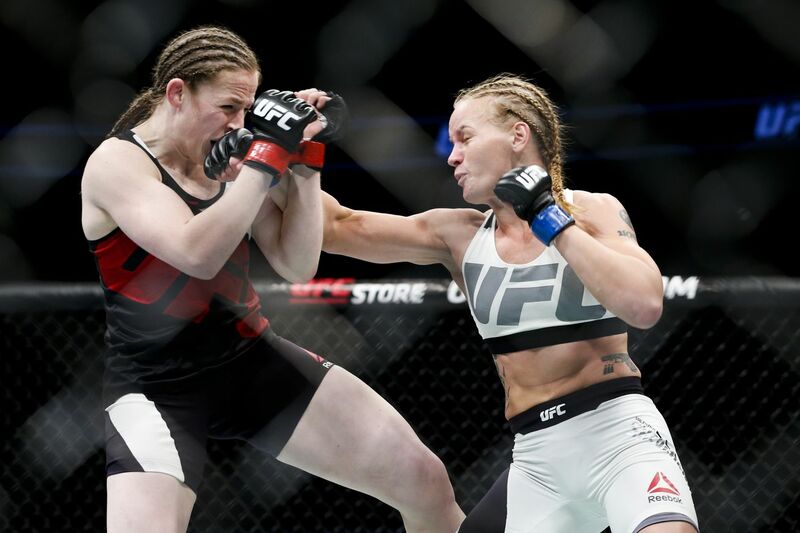 Shevchenko (12-1) debuted in the UFC with an impressive, unanimous decision win over Sarah Kaufman at UFC on FOX 17 last month. The former Muay Thai and kickboxing world champion has won four straight overall and her only career loss came against Liz Carmouche. Shevchenko, 27, a Kyrgyzstan native who now fights out of Peru, has three Muay Thai victories over UFC women’s strawweight champion Joanna Jedrzejczyk. UFC 196 will be headlined by a lightweight title fight between champion Rafael dos Anjos and Conor McGregor, the UFC’s featherweight champion. The event takes place at MGM Grand.